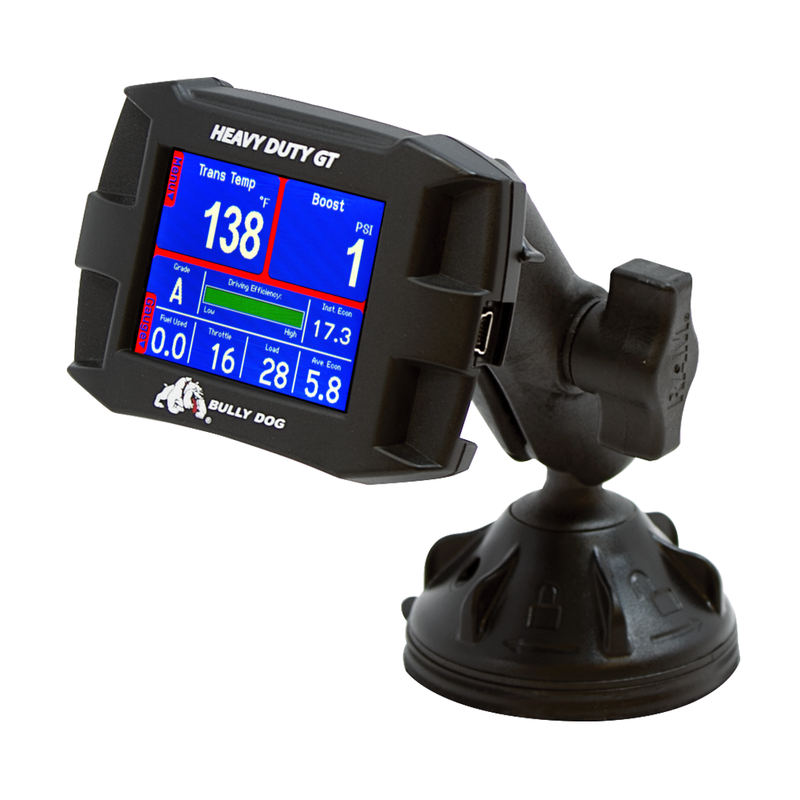 Preloaded with 3 levels of emissions-tested, dyno-proven tune files to satisfy your unique demands. As your performance needs change, simply choose between loading Economy, Power+Economy, or Power tunes. The perfect combination of horsepower, torque, and efficiency right at your fingertips. 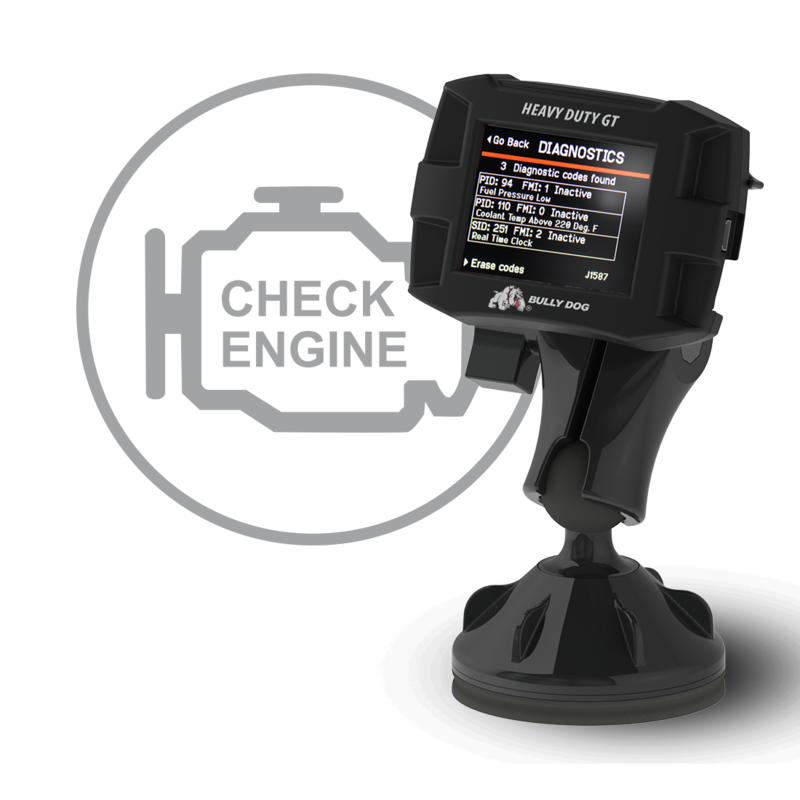 Monitor many parameters to keep track of engine performance. Read and clear any diagnostic trouble codes so there is never a question about an issue before heading to the shop. 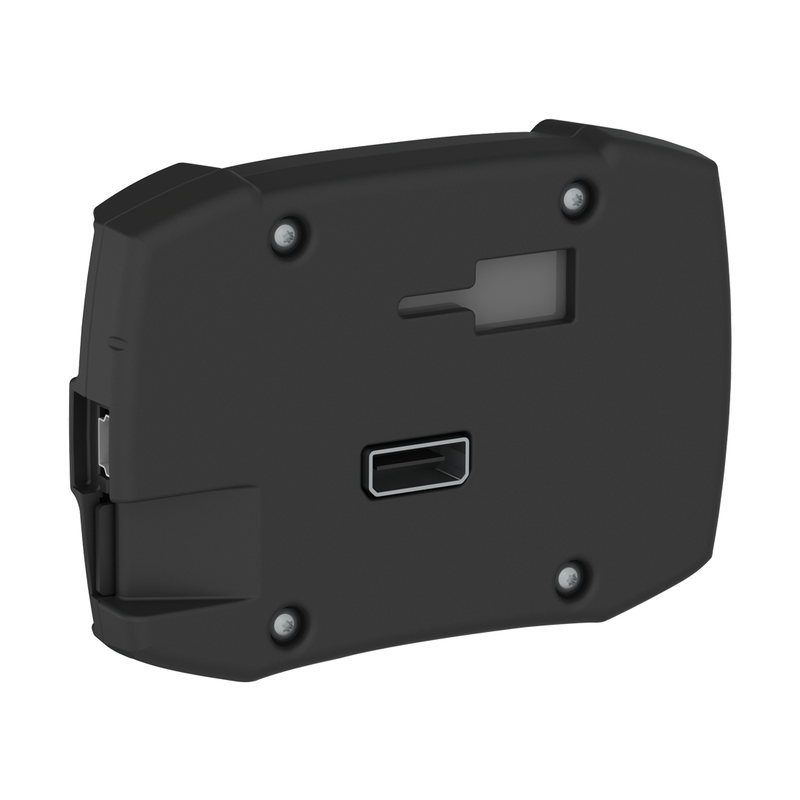 Increase and decrease the set limit of the vehicles cruise control.  Save time and money when continually crossing the US-Canadian border to change the cruise control set limit. 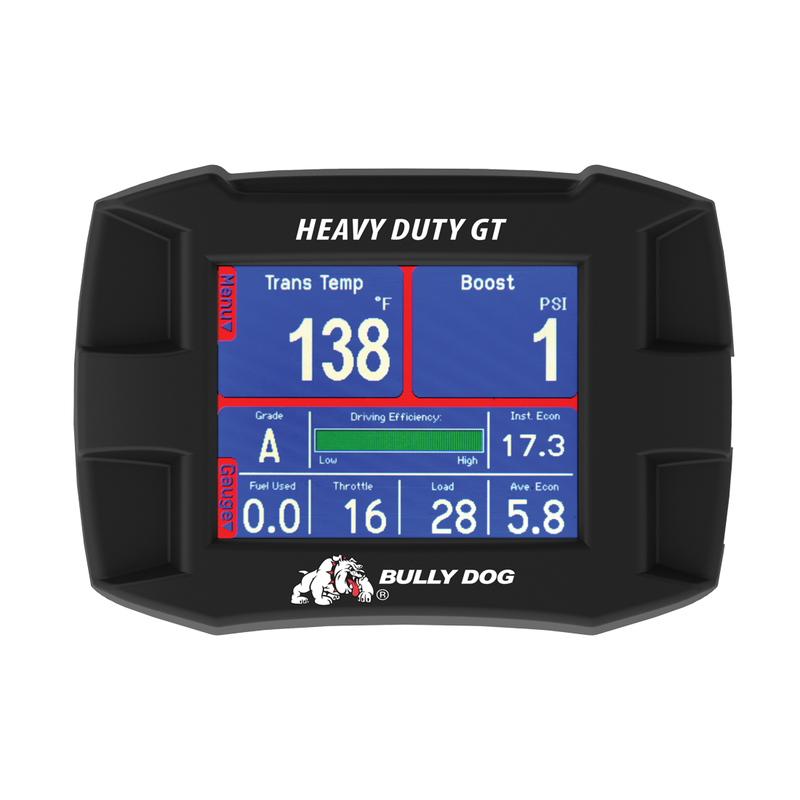 The Heavy Duty Gauge Tuner incorporates Bully Dog's SAE tested and emissions tested diesel engine tuning for both power and economy. Save money and pull harder with the available tunes. Select the best tune for the job; economy, power and economy, and power 75-100 hp gains. Have more confidence while hauling. Set vehicle warnings to alarm if parameters are exceeded for coolant temperature, oil temperature, boost and speed. 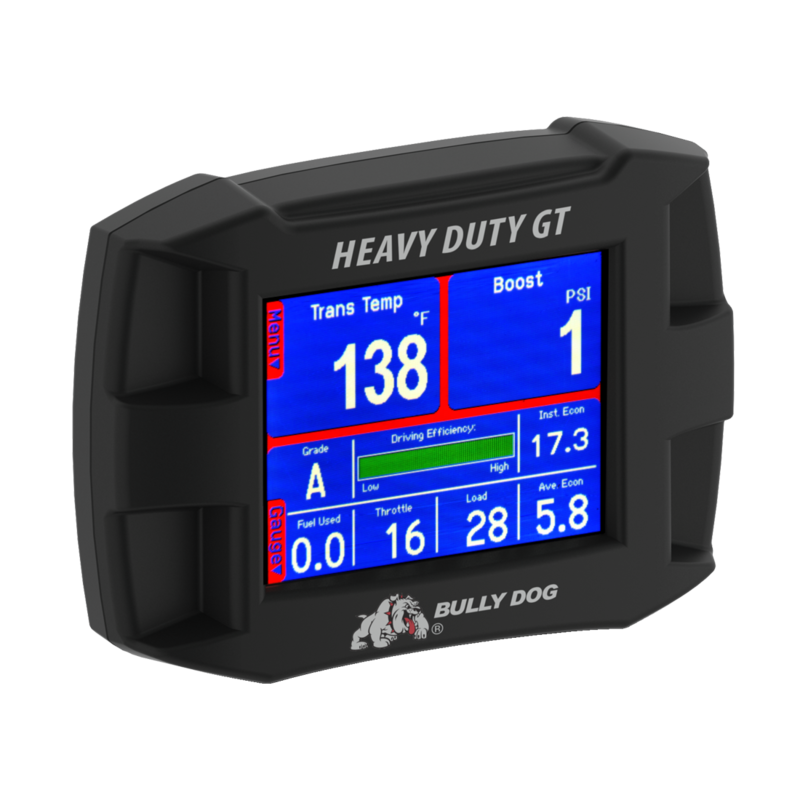 Start saving today with the Bully Dog Heavy Duty Gauge Tuner with fuel savings up to 12% and keep the truck running longer safer. 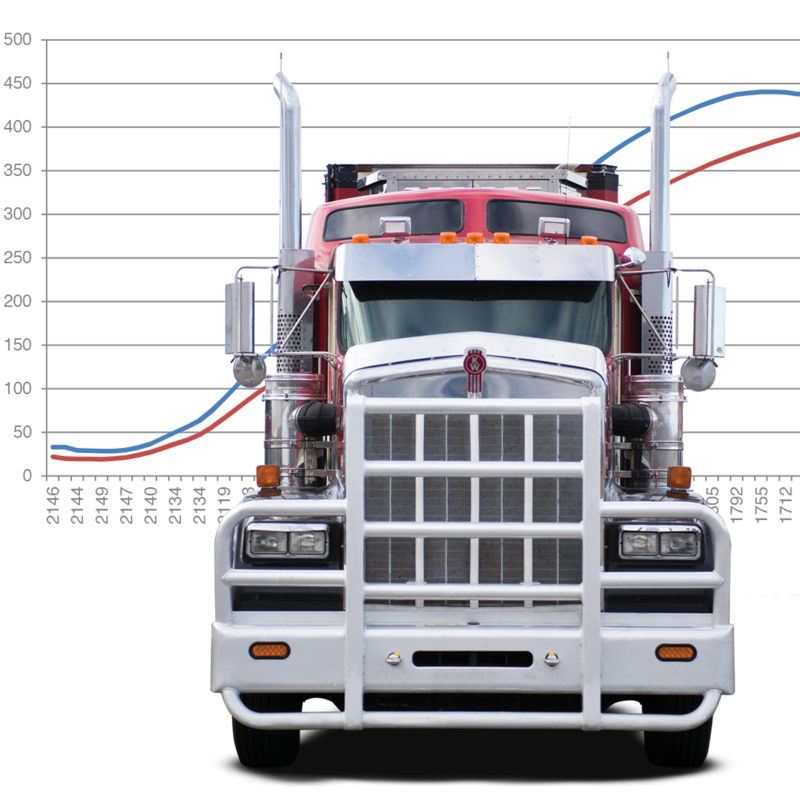 Utilize the driving coach to get the best economy possible. This gauge option shows the boost. This information is used in warning settings to alarm when the boost limit is exceeded. Increase and decrease the set limit of the vehicles cruise control. Very useful if continually crossing the US-Canadian boarder to change the cruise control set limit. Set the length of time the vehicle will idle until the engine turns off. Great feature to save fuel to stop continous idling and extend the life of the turbo by allowing it to cool down before the engine shuts off. This gauge option shows the engine oil temperature in °F or °C. This information is used in warning settings to alarm when the oil temperature limit is exceeded. 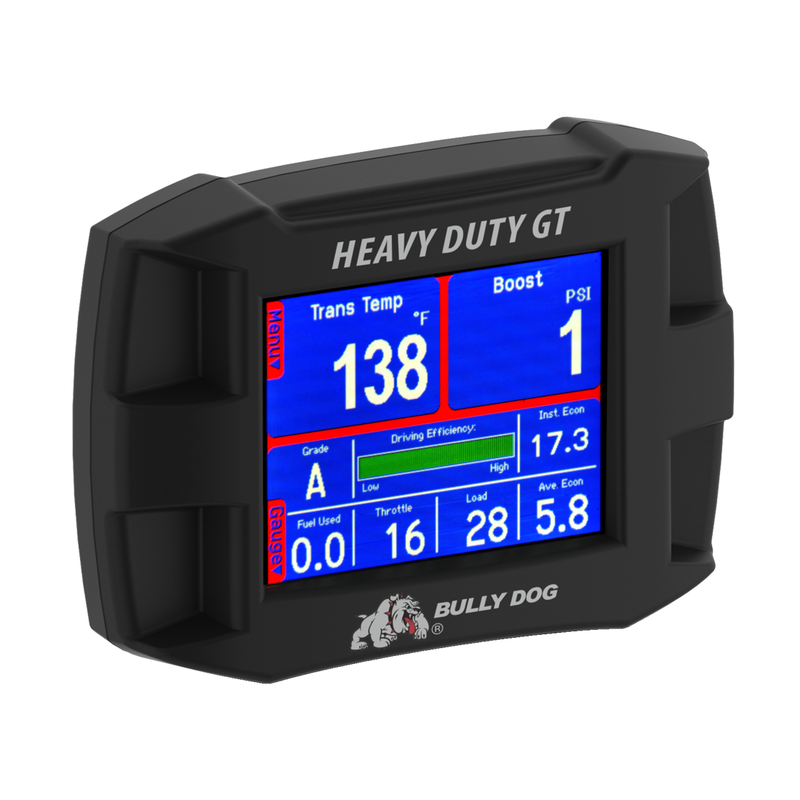 Tell us more about your experience with the Heavy Duty GT. Your honest opinion helps people make smarter decisions. We all appreciate that.